Studying with friends at a coffee shop can be a lot of fun. You're getting out of your dorm room, enjoying good coffee, and being sociable while getting work done. The problem? There are going to be a lot of dorm essentials you need to bring with you for your study session. You don't want to carry all those dorm items in your hands while your friends have cute college bags. 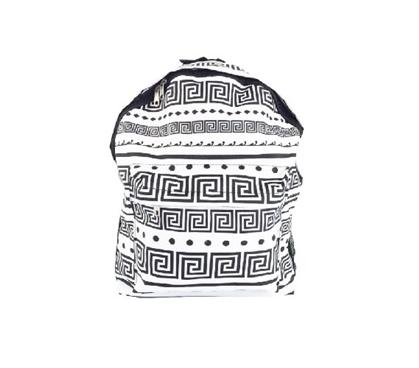 Keep your study accessories organized and look trendy at the same time with our Greek Key Black and White College Backpack. 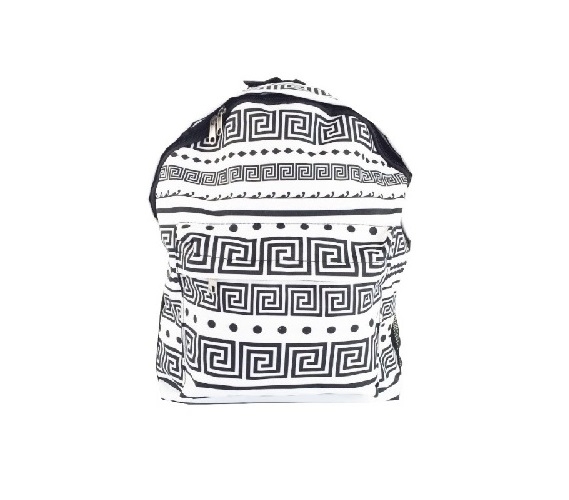 Our Greek Key Black and White College Backpack has an intricate black and white design that will add modern, trendy style to your dorm necessities. Of course, this dorm necessities item offers more than just style. It is also a great fashion backpack for studying with your friends. Pack up your ereader or tablet and notebook in the spacious main compartment and keep your writing utensils separated in the small dorm accessories pouch in the front. You won't have to worry about digging through your notebook or the bottom of your dorm backpack to find your pen or highlighter with this dorm necessities item!